Welcome to no GI Jiu Jitsu or submission grappling… Traditional Brazilian Jiu Jitsu is always taught in the GI. While Ground Control starts most students in a GI, after showing an understanding of the fundamental skills of BJJ they are welcome to take the no GI class. 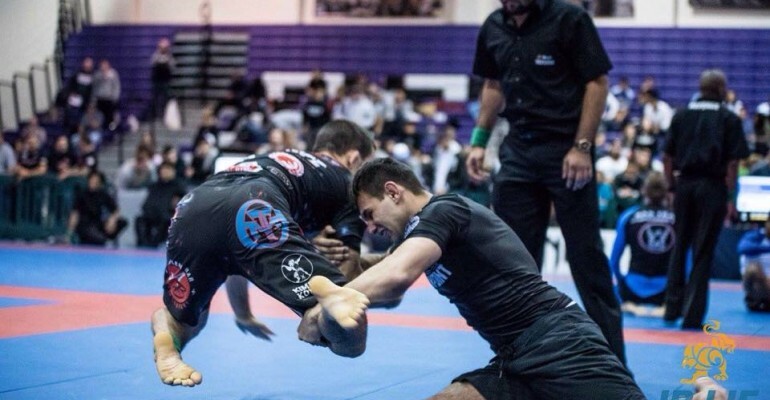 The Ground Control no GI program is structured similarly to the GI classes; however, some techniques are modified because students are wearing rash guards and shorts not the traditional GI. Taking away the control that the GI offers presents another type of challenge for the student. While in the GI there are many more attacks and methods of control available to the practitioners. Taking the GI out of the equasion speeds up the game because it mitigates some of the potential danger of getting caught in an adverse position. Training in no GI offers the student a different perspective of the techniques that they have learned in the Brazilian Jiu-Jitsu programs. No GI is great addition to every student’s game! For self-defense as well as competition it is great to add this to your game. If you plan to enter Mixed Martial Arts competitions, learning and training without the GI is a must! No GI Program classes are similar to the other programs in that they are based on a defined class structure and curriculum that take a broad and open-minded approach to learning the art. Students interact with the instructors and other students in a way that all team members will advance to their ultimate goals. With everyone focusing on each other and helping the person next to you in order to better the Jiu-Jitsu they have learned.